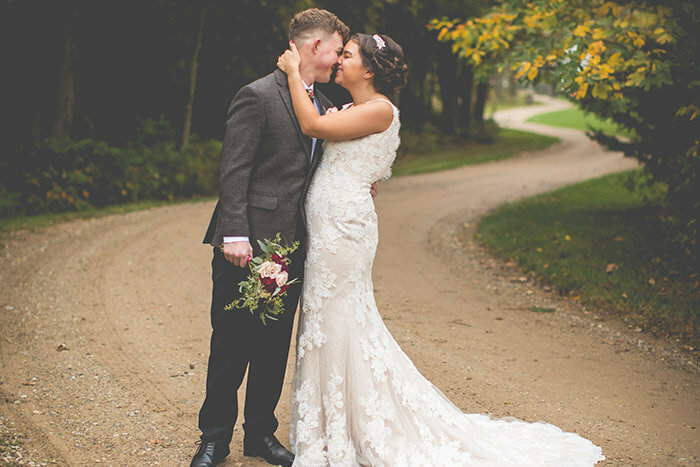 Your dream of a “Happily Ever After” Michigan wedding becomes a reality at Castle in the Country. 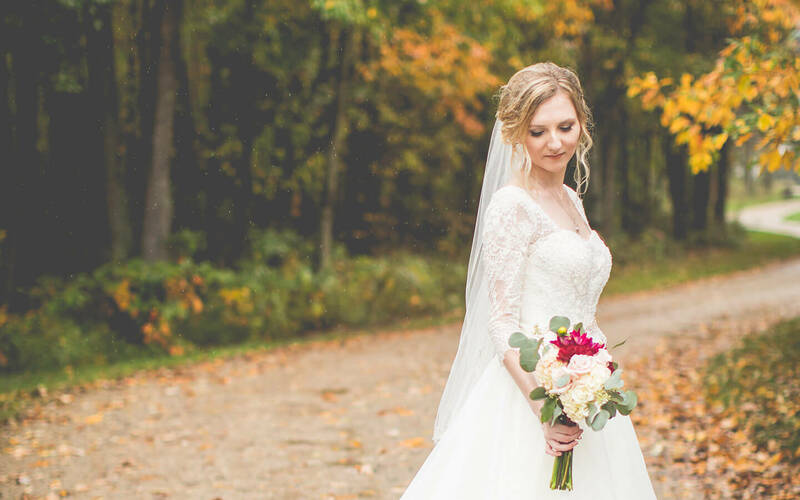 Fairy tales do come true, and we’d love to help you plan every detail of your Michigan Inn wedding and make this the most romantic chapter of your own love story. 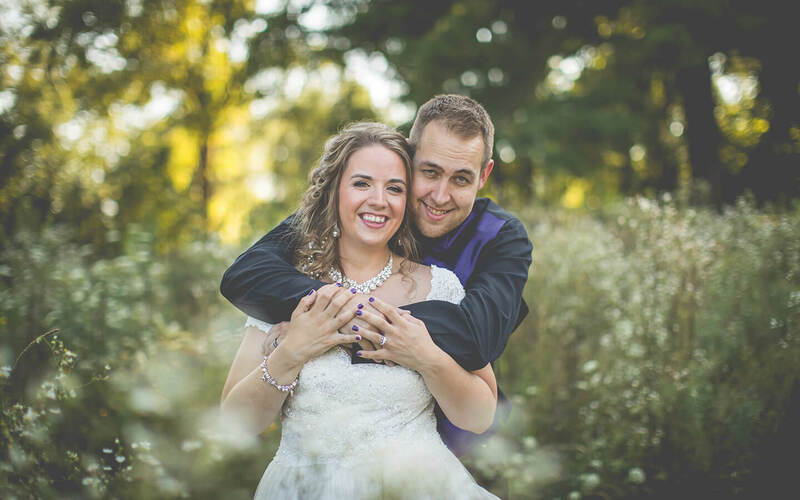 When you choose our enchanting, country bed and breakfast in Michigan as your wedding venue and lodging accommodations, you choose the package that fits you best. 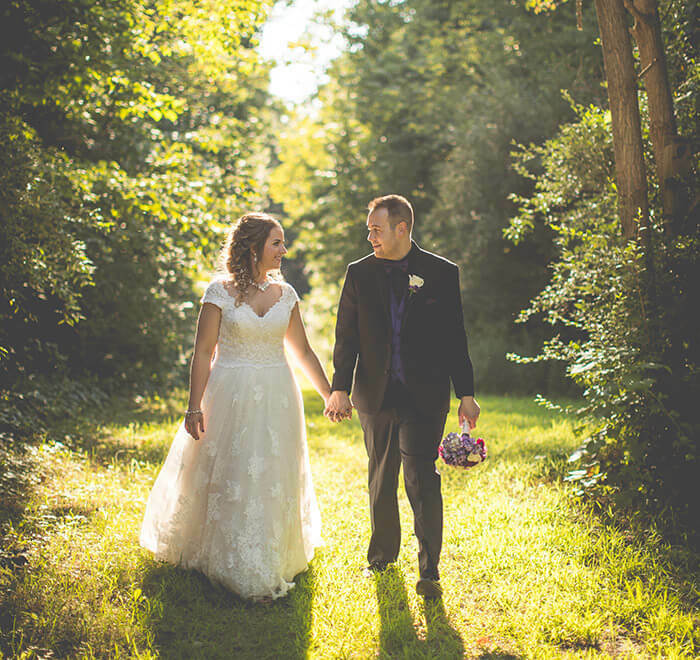 Choose from either a Magical Midweek Wedding/Reception for up to 25 guests, a Destination Weekend Wedding/Reception for up to 150 guests or an Enchanting elopement wedding for just the two of you. This Magical MIDWEEK (Tuesday. 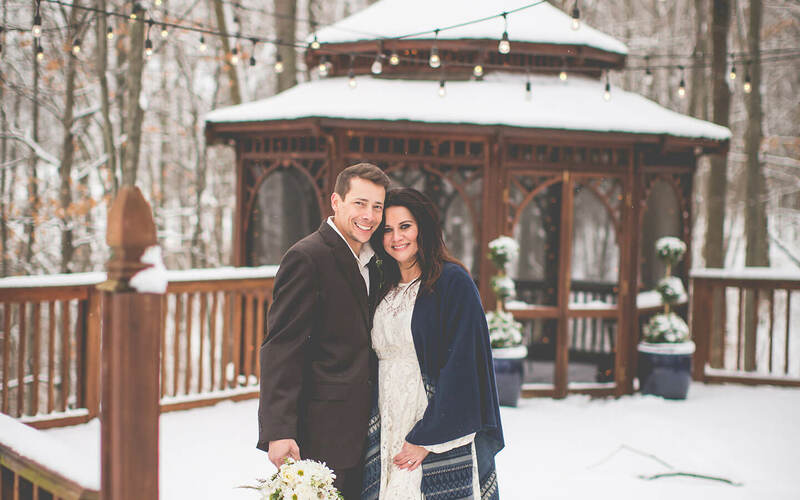 Wednesday or Thursday) package includes both a memorable evening ceremony (outdoor on our gazebo deck or indoors in our beautiful Enchanted Forest Ballroom) and an elegant dinner reception for 15 to 25 guests. It’s the perfect solution for the Bride and Groom who want to share their special day with just your closest few friends and family. Check into a luxurious Whirlpool/Fireplace Suite to finish preparations for your Magical Midweek evening wedding. All the details of your 3 hour event will be hosted by the professional staff of Castle in the Country. Just bring your marriage license, your ring and your attire and we’ll help you create your dream wedding and reception. RELAX…we’ll take it from here and help you with a “start to finish”, stress-free planning process. Our Checklist will give you the choices possible to personalize every detail of your package and even provides an optional list of upgrades for that “One-of -a Kind; Over the Top; Best of the Best” Wedding and Reception of your dreams! This package is added to the booking for any two or more night stay in a Premium Whirlpool/fireplace Suite based on availability. We recommend the Camelot Suite for a generous space for all your wedding guests before and during your event. At the time of guaranteeing your event, 1/2 of the Lodging total will be required. Please note: May-October dates may require a 3 night stay. A non-refundable $1,500 event deposit will be required at the time of booking. This event deposit will be refunded if a cancellation occurs 30 days prior only if a comparable event is re-booked for the same date. Site Tours may be scheduled to view the property, photos of other comparable events, and to clarify the costs and personalization options. Please speak with an Innkeeper by calling 1-888-673-8054 to schedule your tour. Additional Lodging may be booked for the same two night minimum by wedding party/guests. Please speak with an Innkeeper regarding the best options for additional accommodations before booking. Come away with your family and friends for a Destination Weekend Wedding to remember. Choose an entirely stress-free planning process engaging our professional staff to work with you to create the storybook wedding of your dreams. When it’s time to welcome your extended guest list to join the celebration, our estate provides a glorious, country setting for the most memorable experience of your life together. A Non-refundable $2,500 Event Deposit is required. The first night’s lodging deposit is required within 30 days after booking the Event package and is non-refundable. Wedding Checklist will identify all package inclusions, upgrades, timelines and customizing details. Additional deposits may be required at 30, 60 or 90 days prior to event. These additions will be discussed at time of contract signing or booking your event dates. Site Tours are scheduled for Sunday afternoon appointments only after a phone consultation is completed with our Wedding Coordinator. Castle in the Country is bookable for your wedding event no more than 12 months in advance of your date. Booking Now for limited Summer and Fall 2018 dates or, Site Tours for 2019. 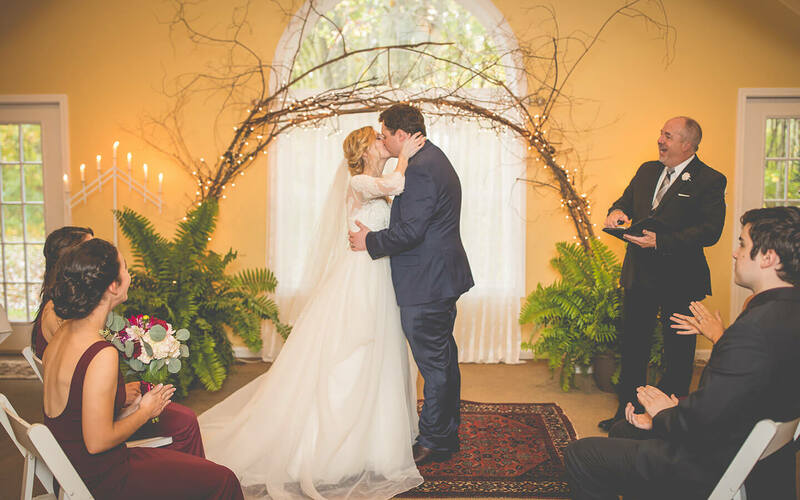 Our elopement package is just for the Bride & Groom and is our most intimate package with everything you need to experience the most romantic event in your life. 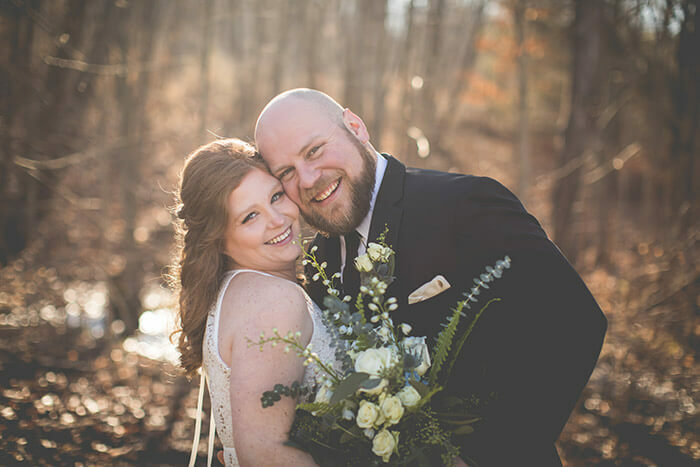 This enchanted elopement package is offered exclusively for guests who are lodging at our Inn. This afternoon event is seamlessly orchestrated to ensure that you experience the intimate celebration of your dreams. So, book your stay, pack your bags, arrive with your rings and your marriage license, and we’ll take care of every other detail for you.